If you've got kids, or like me are also just plain old clumsy, then the chances are that you're reaching for a Band-Aid more times than you care too. Band-Aid have now added 'Quilt-Aid', a fantastic non stick pad design to their plasters, so that when placed on a wound actually help to draw the fluid away and keeps improves breathability for the wound area. The padded design also help to cushion the wound and protect it from further knocks and blows. Click here to register for your free sample. There is no expiry date, but with most free samples, they are provided at the discretion of the company, so get in quick. Where's your favourite beauty spot in Perth? 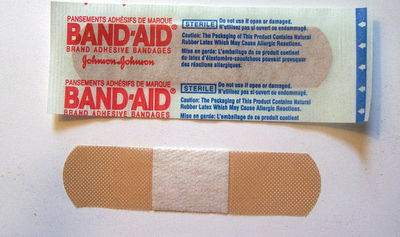 Bandaids are great in case i do need it at home.